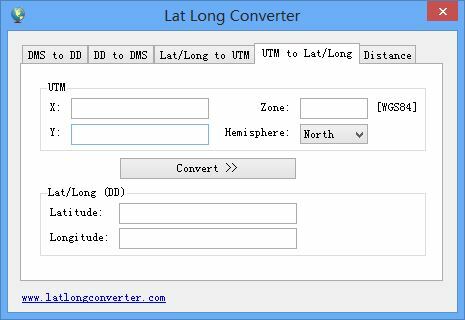 Lat Long Converter is a free latitude and longitude coordinates conversion software. 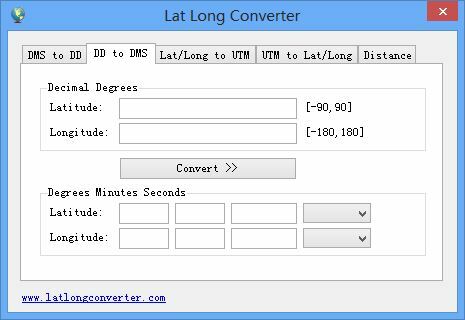 It can help you convert GPS latitude and longitude between decimal format and degree/minute/second (DMS) format, supports Universal Transverse Mercator (UTM) coordinate system. 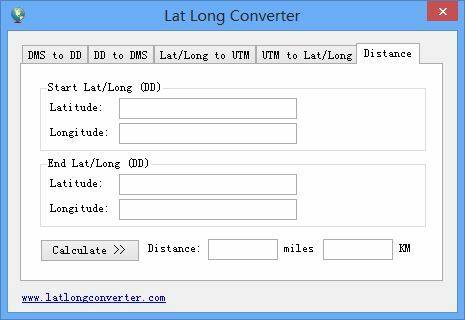 In addition, you can also use it as a coordinate distance calculator, it can calculate distance between two GPS points. It is a Freeware, get it from a download mirror. * For UTM coordinate system, the ellipsoid model used for computations is WGS84. 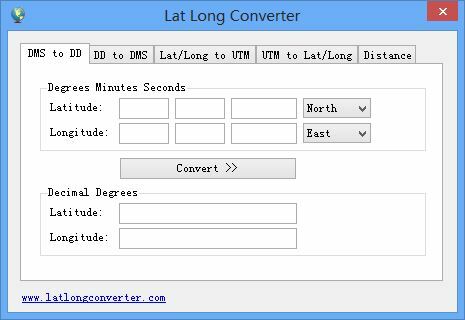 * For calculating distances, the values used for the radius of the Earth are 3956.0 miles and 6367.0 Kilometer. Copyrights ©, all software and information used on this web site are owned and licensed by LatLongConverter.com, All Rights Reserved.